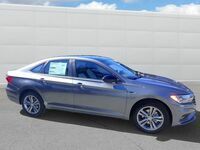 Are you looking for a four-door sedan that brims with style and elegance? How about one that is affordable, but still fun to drive? 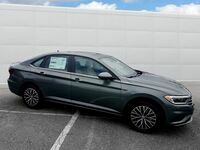 The answer to all of these questions may just be a 2017 Volkswagen Jetta in Walnut Creek, CA at Dirito Brothers Walnut Creek Volkswagen. Every inch of this car is ready to wow you. 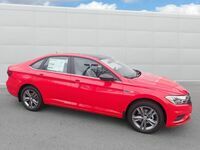 From the power under the hood and the efficiency at the tailpipe, to the safety in the design, this a complete four-door sedan package from VW. Dirito Brothers Walnut Creek Volkswagen has a huge inventory of Volkswagen products in stock right here in Walnut Creek. To see all the Jetta models that we have to offer, simply click the link below. If you want to learn more about this impressive German sedan, then read on. Either way you are bound to be impressed. Volkswagen wants their drivers and passengers to not only feel safe but to be safe. That’s why they have included technology like TPMS, an automatic post-collision braking system, an intelligent crash response system, a high-tech safety cage, and not one but seven stability enhancing systems. Depending on the trim you choose, there are a total of three engine options, all of which are turbos. The S and SE come with a 1.4-liter turbo that delivers 150 horsepower. The next step up from that is the SEL trim’s 1.8-liter turbo, and then finally the GLI trim’s 2.0-liter turbo with 210 horsepower. With turbo drivetrains, any Jetta is sure to be a blast out there on the roads, but what about the gas that it drinks? That’s where you have nothing to worry about. The 1.4-liter turbo can provide an insane 40 mpg on the highway, and even the powerful GLI powerplant can still provide 33 mpg on the highway. There are four available trims for the latest Volkswagen Jetta. Whether you are looking for something affordable, or something high-class, the Jetta can provide. 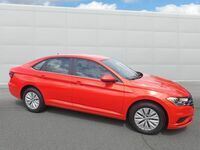 VW Jetta S: Even though the Jetta S is a base model trim, it still comes fully loaded with features like LED daytime running lamps, rearview camera system, and a Composition Color touchscreen sound system. It also comes equipped with the 1.4-liter turbo. 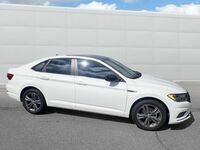 VW Jetta SE: The SE also has the 1.4-liter turbo, but it gets added convenience features like keyless access with push button start, Blind Spot Monitor, and VW Car-Net with App Connect. 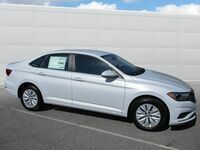 VW Jetta SEL: The SEL comes with the upgraded 1.8-liter turbo that can deliver 170 horsepower. 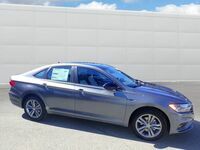 Other added features include Discover Media touchscreen navigation, autonomous emergency braking, and a dual-zone climate control for added comfort. VW Jetta GLI: Here’s where the 2.0-liter turbo comes out to play. This trim also includes 18” Mallory wheels, multi-function sport steering wheel, and a Fender premium audio system. Whichever trim ends up being perfect for you, the team at Dirito Brothers Walnut Creek Volkswagen can help you find it. 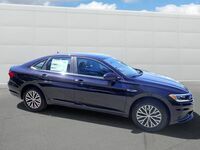 Browse through our massive Jetta inventory online now, or stop in for a test drive today!